So adorable. 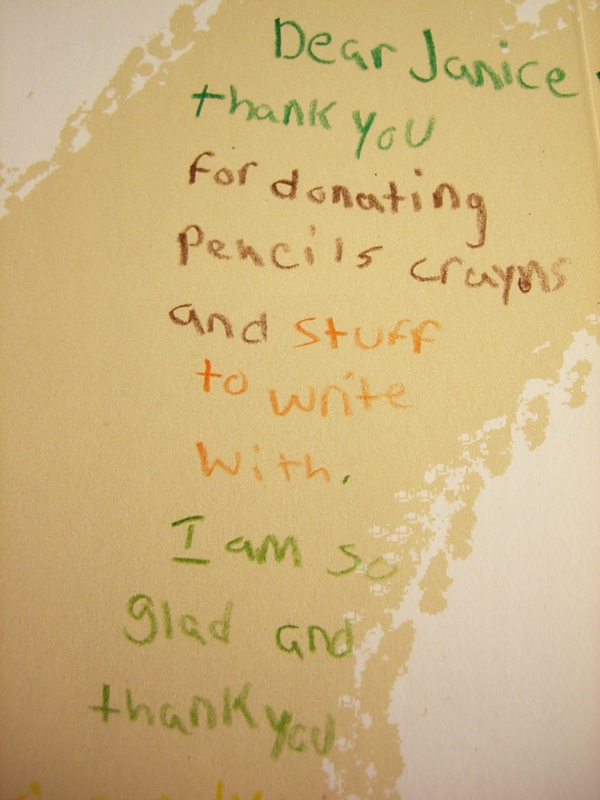 These are from donating books to the Pencil Foundation. Yay! Happiness. 🙂 Yup. I’m tickled. 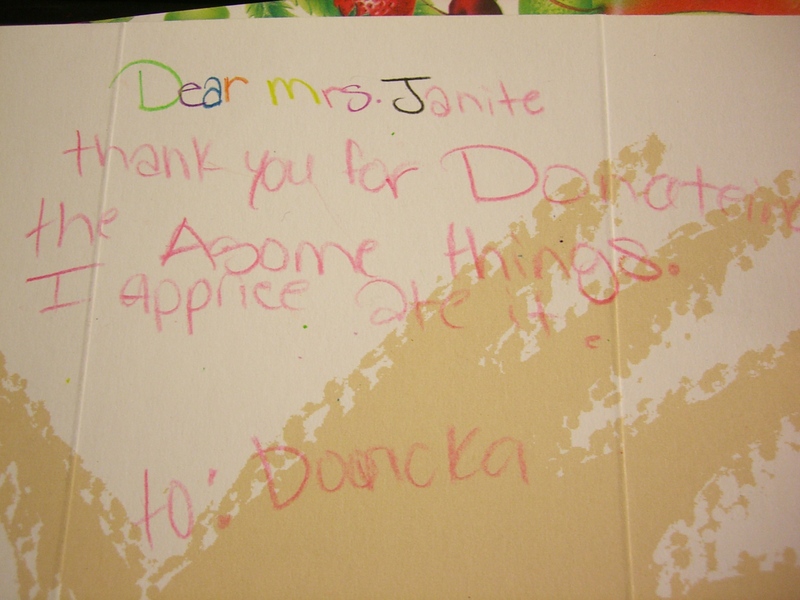 I’ve been getting nice thank you notes from teachers. This is a first to get something from the kids themselves. Yup, I started reading. Only about 30 pages in so far though. Hope to get a bigger chunk read this evening after work. They made my week! I’m contemplating putting some up around me in the office – my fridge is sadly not very magnetic (I guess that’s the trade-off of the stainless steel).